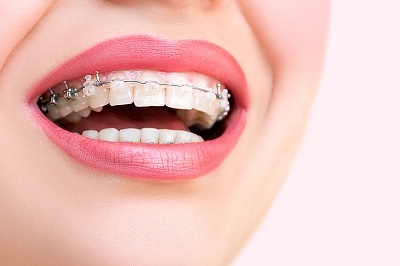 Braces can improve your aesthetics and oral health, granting an improved quality of life. If you’re an adult looking to align crooked or unevenly-spaced teeth, consider receiving care from our board-certified orthodontist Nancy Phan, DDS, MS. She is an experienced practitioner who delivers the exact care adults need, improving the alignment of their teeth and bite with modern techniques and technology. Whether your teeth have shifted out of place, or you’re looking for braces to enhance your smile, call Dr. Phan today! As an adult, your dental development is complete. This means your malocclusion can be addressed more simply and with cosmetically-inclined materials. With straighter teeth, you can effectively take care of basic oral health needs and have a bite that doesn’t damage your teeth. Teeth out of alignment cause undue wear and tear on other teeth and trap food in difficult-to-reach areas. These both can cause significant oral health problems, such as gum disease, or dental damage that requires significant restorative treatment. Orthodontic care will protect teeth from long-term damage that can result in these costly procedures. Braces can act as a preventive option that supports a better dental future even for adults that didn’t previously have any orthodontic treatment. Our practice offers orthodontic care to any adult who feels their smile could be straighter, or their bite is causing oral health issues. Many who experience TMJ dysfunction may reduce the impact of these issues by correcting their bite. Adults may wish to improve their smile simply for cosmetic benefits as well. Whether you are a working professional with a considerable amount of interaction, or a parent who witnessed the benefits of their child’s braces care, you are more than welcome to visit Care Orthodontics. Our practice is equipped with a range of orthodontic options to address mild to moderate malocclusion, which includes teeth and jaw alignment issues. Dr. Phan matches your needs to the best treatment method. All appliances are customized according to individual alignment issues to support effective movement of your teeth. Full orthodontic treatment helps with severe issues and can be combined with advanced materials such as tooth-colored ceramic brackets. This minimizes the aesthetic impact braces have on your smile. Dr. Phan is also an Invisalign® clear braces preferred provider, which is an orthodontic treatment option that is nearly invisible and allows patients to remove the aligners as they wish. Dr. Phan sees adult patients who have cosmetic or complex alignment issues. She is passionate about seeing a change in her patient’s dental alignment and wants to provide treatments that help improve your quality of life. Dr. Phan not only changes smiles but changes lives. For a consultation, call our practice.